I volunteered at a counseling conference at school this weekend. The material presented was fantastic, but also a lot of review from courses I’m in or have taken at school, so I didn’t take very detailed notes. I always like to keep my pen and paper at hand for when a new idea is presented or something lands in a new way, but frequently use a scrap page to practice doodling dividers, hand lettered fonts, and banners like the ones here. 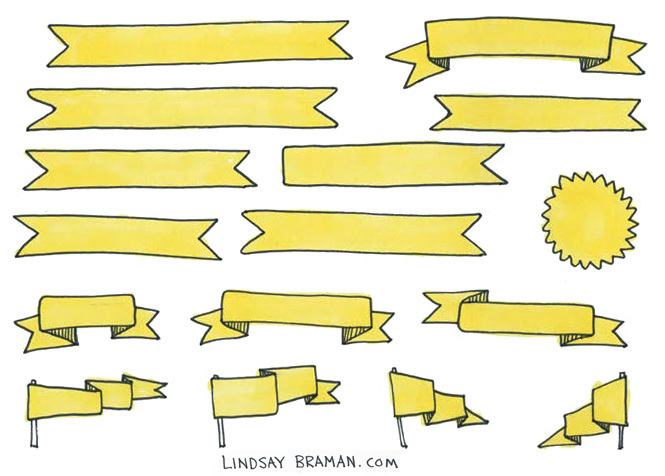 This weekend, I decided to keep my scrap doodle pages themed, so I could create some doodling-inspiring cheat-sheets for folks trying to learn to draw banners or adopt a different style of banners for their own sketchnotes or bullet journals. Right click the image below to print this banner doodle cheat sheet or save to your harddrive. I like doodling during lectures, and most contemporary speakers understand that doodling listeners are actually listening-listeners, not daydreamers. 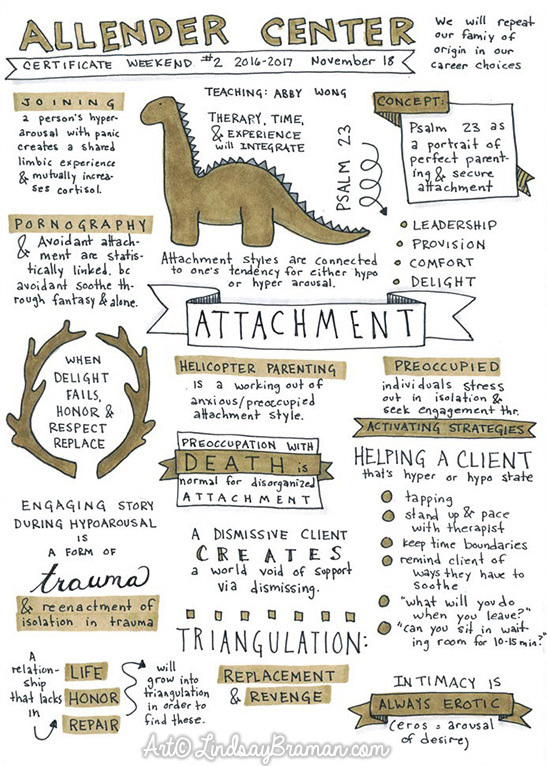 I find a lot of freedom to doodle at psychology and counseling related classes and conferences. Speakers who know the brain and understand how people learn seem to be more open to having doodler is their midst. At this particular conference, conference organizers actually provide adult coloring book pages and colored pencils for conference attendees to use. I love this acceptance of the fact that people listen in different ways, and often people who are doing something while listening are actually listening more attentively, and may recall more information. It also provides a bit of an outlet for when material is emotional evokative, and eye contact with a speaker might be difficult. I have a specific look that I like for my notes, so I tend not to excessively doodle on my pages of notes even when I’m not taking notes on what is being spoken. Sometimes in class I will go for 5, 10, or even 15 minutes without taking any notes, sometimes I actually find it more helpful to my listening and learning in that time if I’m doodling on a separate page where I don’t have to worry about “producing” a page of notes for the class. This ranges from practicing doodles (right now, antlers and laurels), lettering the header for my next class, or occasionally making a playful but kind doodle of the speaker. While I was doodling these banners this weekend at the conference, I was listening to the speaker and letting this familiar information filter and letting my mind wander playfully with it a bit. In particular there is a specific spreadsheet of data that is frequently presented in my school’s counseling courses that is unique to one of my professors. I’ve always struggled with the fact that it is presented so linearly. As I was listening to it presented this time I decided to let my mind wander around this spreadsheet and imagine a different visual set-up or movement of the information between cells of the spreadsheet. While I was doodling these banners and letting my mind wander, I finally found the pattern of movement in this spreadsheet that I had been sensing but not able to visualize or articulate when I was taking linear notes! With my notebook in hand, I was able to quickly flip back to my page of conference notes and sketch out this mental picture of the pattern of movement that was hidden in the spreadsheet columns and rows.